ENTEBBE – ENHAS Nas that handles cargo at Entebbe international airport has donated $30,000 to Entebbe General Hospital for construction of an intensive care unit to cater for victims of road and aviation accidents. Mr Philippe LaCroix, the General manager Enhas-Nas, said there was a need for Entebbe hospital, which is the nearest medical facility to Entebbe airport, to have an intensive care unit like all other international airports worldwide. “We shall be donating US$30,000 to Rotary club every year for the next three years, which amount shall be doubled before being delivered to the hospital,” he said. The president of Rotary Club Entebbe, through which the donation was delivered, Mr George Bush Ochieng, said more airline operators have joined the construction of the ICU including the controlling body Civil Aviation Authority (CAA) which donated Shs 10 million that is to be remitted every year. 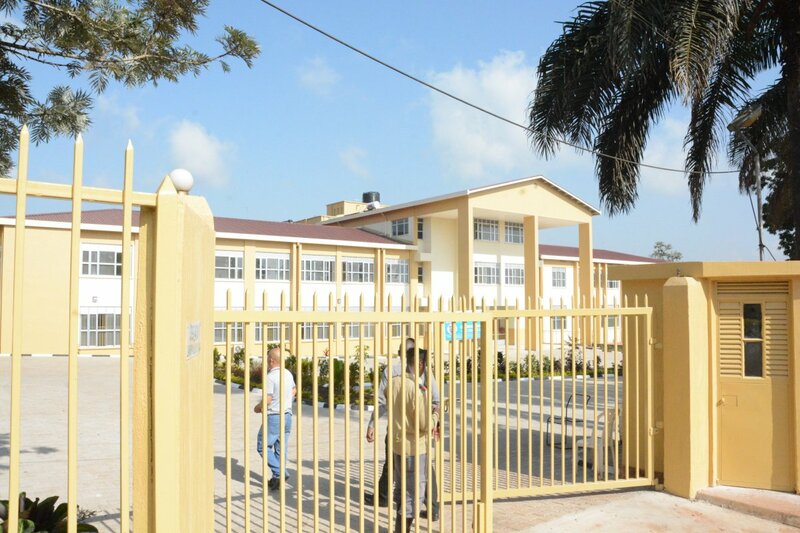 “After two years of protracted negotiations, we have managed to bring some partners on board in regard to refurbishing and equipping Entebbe General Hospital,” he said. The Medical Superintendent at the hospital, Dr Moses Muwanga, said that the money will be useful in revamping the hospital. “We are going to expand the emergency accident unit because the current one is very small with about three beds. In case we had an accident at the airport we could not handle the numbers of the people injured would have to be taken to Kampala” he told journalists. “The accident casualty area will be remodelled to accommodate not less than one hundred patients in the triage area and the resuscitation area shall be expanded to accommodate between 60-100 patients” he added. Mr Muwanga said a Memorandum of Understanding (MoU) signed between Nas-Uganda and the rotary club will see the bounty donation doubled to $90,000 by the Rotary International club in the three year period the project is to be completed. Mr Muwanga said the hospital receives between 10 to 20 accident victims yet the hospital has fewer facilities than required and hoped to construct an oxygen plant to supply oxygen to other medical facilities. Entebbe Municipality MP Ms Rose Tumusiime said the Intensive Care Unit will help residents since it comes at a time when the hospital is to be upgraded to a referral hospital. “Recently we had the incident of the Ethiopian Airlines that overshot the runway had it come to its worst the hospital could not handle the situation since its emergency unit is less equipped,” she said.